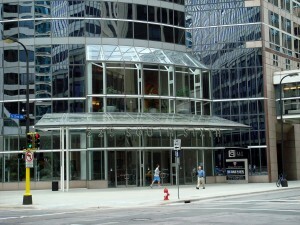 Capella University is a for-profit university with located in Minneapolis, Minnesota. Capella University offers Bachelor’s, Master’s and Doctoral degrees in Education, Business, Information Technology, Health, Public Safety and Human Services. Capella University offers over 140 graduate and undergraduate programs. Capella University also offers many programs online, making education flexible and convenient. Capella University has more than 37,000 students enrolled from all 50 states and 59 other countries. The faculty at Capella University has over 1,615 professors, with over 80% holding doctoral degrees. Capella University is primarily an online university, with the majority of student learning taking place over the internet. The online environment at Capella University uses Blackboard Learning Software. Some fields of study do require residency, including clinical psychology and other Master’s and Doctoral Programs. Capella University is made up of mainly of graduate students, with an undergraduate population of Capella of approximately 20 percent of the student body. Over 90% of students are taking courses part-time at Capella University. Learning at an online university is different for those attending a campus based location. Many students will find that there is greater flexibility available to them. Faculty is available to students online with many having weekly online hours for students to ask questions and review homework. Capella University also has the new mobile app called Capella Mobile which allows students to access their course work on their mobile device, keeping them connected at all times. Capella University requires undergraduate applicants who do not have any college or university credits eligible for transfer to complete a university-approved examination. Successful completion of this examination will allow applicants to be considered for admission. Capella University aims to make higher education a reality for those who qualify. There are many different financial resources available including loans, grants and scholarships. Tuition is based on program specific information and is subject to change. There are other fees that students must consider as well including books, research materials, and a personal computer.